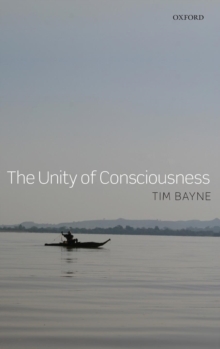 In The Unity of Consciousness Tim Bayne draws on philosophy, psychology, and neuroscience in defence of the claim that consciousness is unified. In the first part of the book Bayne develops an account of what it means to say that consciousness is unified. Part II applies this account to a variety of cases - drawn from both normal and pathological forms of experience - in which the unity of consciousness is said to break down. Bayne argues that the unity ofconsciousness remains intact in each of these cases. Part III explores the implications of the unity of consciousness for theories of consciousness, for the sense of embodiment, and for accounts of the self. In one of the most comprehensive examinations of the topic available, The Unity of Consciousness drawson a wide range of findings within philosophy and the sciences of the mind to construct an account of the unity of consciousness that is both conceptually sophisticated and scientifically informed.